Most of us get into aquariums simply because we love fish and other aquatic life. Water chemistry is just a secondary effect of our love of aquatic plants and animals. Not many of us start up a tropical fish tank because we love balancing CO2 and O2 levels. I have never heard anyone say, “I just love balancing out my tropical fish tank’s water chemistry. Did you see the latest in CO2?” Having said that, we all need to love our aquarium’s water chemistry because if it isn’t right, all we love about aquarium plants and animals goes six feet under. And it is a lot easier to maintain an aquarium’s water chemistry than to “fix” it back to habitable levels. For all of you passionate aquarists, I have put together information on the very basic beginner questions for water chemistry: why you should care about your aquarium’s water chemistry and why it is important for aquatic plants and animals? Why should I care about my aquarium’s water chemistry? Well, as mentioned above, without suitable chemistry, your aquarium plants and animals can die. 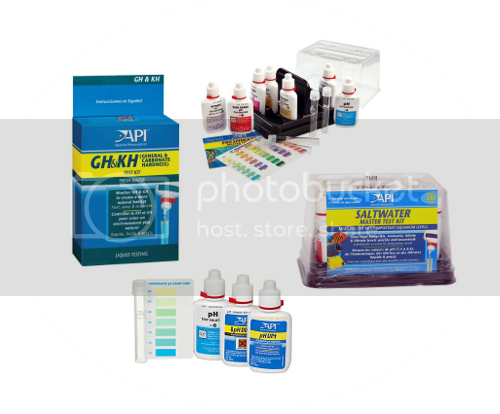 With proper, well-balanced water chemistry you achieve a beautiful, natural looking aquarium with vibrant colors and breeding aquatic animals that is free from disease. Secondly, your own satisfaction. There is nothing better than having a beautiful, healthy tropical fish tank in your house and knowing you have worked hard to maintain it that way. Also, with all the aquarium supplies available online (hint: Just Aquatic), you really have no excuse. Why is water chemistry so important to aquatic plants and animals? 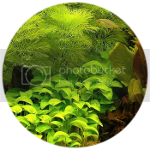 Just like you and I need oxygen to breathe and fish and aquarium plants need the proper CO2 and O2 levels. Not having high levels of toxic ammonia helps too; no one, including fish, like to swim in their own urine. Not unlike humans, aquatic inhabitants are mostly made up of water, 80% to be exact. Humans are composed of 70% water, but we have watertight skin and only small amount of water evaporates from our lungs. Fish on the other hand, are protected or separated from the external aquatic environment by a thin permeable membrane, similar to our skin, but much thinner. Additionally, fish are in water constantly. This constant immersion in water and thin, permeable membrane, make fish very sensitive to the external aquatic environment. Too many toxins in the water equal too many toxins in the blood stream. This is where the use of aquarium filters and water treatments come into play. Secondly, many aquatic animals are cold blooded, at least the ones you probably have in your aquarium. I doubt many of you have an aquarium full of dolphins or beluga whales. The temperature of the external aquatic environment largely influences a cold-blooded animal’s body temperature. Temperature of the water is directly correlated to the metabolism rate of the animal. If an aquatic animal is exposed to less than ideal water temperatures, their metabolism rates slow down and their immune system comes under great stress, increasing the animal’s susceptibility to diseases. At the very least their growth rate will be stunted and their color will not be as vibrant. Here, aquarium heaters play a vital roll in keeping the correct temperature for your aquarium. Finally, nature has a way of balancing everything out. Oceans, lakes, and rivers are all perfectly balanced with substances we humans cannot see – minerals, dissolved gases, pH levels, water hardness, chlorine, chloramine, and ammonia to name a few. When creating an artificial, man made environment, we need to recreate the plants’ and animals’ natural environment as close to exact as possible. Too much of one substance and too little of another, can damage or kill all living things in your aquarium. Again this is where water treatments, aquarium heaters and aquarium filters come into play. In my next blog, I will dive more into the specifics of water chemistry – how certain substances influence water chemistry, how to measure these substances and keep them in balance. So don’t forget to check back to learn more about maintaining a healthy environment for your aquatic animals and plants.